Installing ENERGY STAR® and WaterSense products is an investment in our environment and your dollars. Water-saving toilets, faucets and showerheads, energy-efficient appliances, tankless water heaters, heating and air units with high SEER ratings, programmable thermostats, Geo Thermal heat pumps, CFL & LED light bulbs…all contribute to making your home greener! Replacing, remodeling or new construction, Modern Supply‘s team of experienced pros can help you understand product options and how to integrate into your living space. Visit a showroom in Knoxville, Chattanooga or Johnson City, Tennessee or one of our four branches in Knoxville, Sevierville, Crossville, Tennessee or Bristol, Virginia and start going green today! 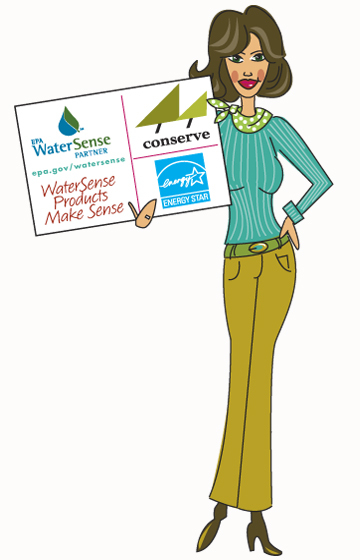 Modern Supply is an EPA WaterSense Partner.